Something to Muse About: The Diversity Chronicles #03 - "What's On Tuesday?" The Diversity Chronicles #03 - "What's On Tuesday?" This superhero drama series is a spinoff of the highly successful show, "Arrow." Though the "Flash" himself is the immensely endearing Barry Allen, special kudos must be given to some of the other leading characters. Barry's best friend is Iris West, played by the stunning Candice Patton, who beautifully plays the many nuances of the character. However, we'd still really like for her to get even more screen time, though the show has been meticulously laying the groundwork for many characters and various mythologies and doing so tremendously well. But what's truly great about Iris is that she's not just a mere token-attractive-leading-lady, she is entirely interesting and compelling in her own right. Iris' father is Joe West. Actor Jesse L. Martin is the strongest dramatic performer on the show and brings the best out of Grant Gustin in those Joe/Barry father-son scenes. Finally, we're going to give a shout-out to Cisco, a mechanical engineering genius working at S.T.A.R. Labs. Actor Carlos Valdes' comedic skills reign supreme, though with the few dramatic moments he's been given he has also held his own. To put it simply, this episode gives us significant strides in the perspective we are given on the depth of Barry and Iris' friendship. When Barry visits Irish as "The Flash," she makes a heartfelt plea to him in which we learn that the true driving force in her pursuit for this superhuman is all tied back to her love for Barry. This show may have gotten a large following due to the substantial following of the MCU (Marvel Cinematic Universe), but fans searching for diversity can find something truly worth celebrating: Ming-Na Wen's Melinda May and Chloe Bennet's Skye. While both characters were interesting to begin with, it is the evolution and growth of the characters that proves most compelling. While Ming-Na Wen has already been an icon to Asian-Americans for over twenty years, her work as Melinda May has catapulted her popularity to a whole new level. In season one, Ming-Na Wen used her martial arts skills and maintained an icy gaze to become the show's fan-favourite badass, but as the second season has progressed, we have seen May take on more of a mentoring (Skye) and nurturing (Coulson) role. These developments not only allow us to better connect to the character, but keeps May from being just another reincarnation of the "Dragon Lady" trope (albeit a fun one to watch). As for Skye, she started off as the fast-talking, wise-cracking, computer-hacking whiz kid, but following the trauma of a team member (and love interest) being revealed to be working for Hydra, Skye 2.0 was born. After being mentored by May, which is what we really wanted to see from the beginning, Skye has grown more serious in her demeanour and developed into a skilled operative. We wouldn't mind a couple more wisecracks being thrown back in, though. Our recommendation to the writers? Drop the dead weight (unnecessarily added new team member Lance Hunter) so there's more time to allocate to the characters that are actually interesting. Speaking of interesting, honourable mention should be given to the villainous, though we'd prefer to call her "misunderstood," Raina. Ruth Negga has made Raina more intriguing with each new guest spot, and with one smirk alone we're left giddy and wanting to know what sort of trouble she'll be stirring up next. What's better than one Melinda May? Two of course! Through the help of some high-tech equipment, the brainwashed-evil Agent 33 takes on the appearance of Melinda May, allowing Ming-Na Wen the opportunity to play two characters in one episode and flex those acting muscles even more… but perhaps most exciting of all is the fight between the two Mays, which is one of the best action sequences on the show to date. Since Skye's introduction to the show, her origin story has been clouded in mystery. But here we are finally given the answer as to Skye's place in Marvel's comic mythology: she is Daisy Johnson, AKA "Quake." This was a crucial revelation, given the fact that within the MCU, this character is also an "Inhuman" and there is an "Inhumans" film set to be released in 2018. If they include Skye/Daisy in the film as a lead role, Bennet will be the first Asian actress to have a leading role in any of the MCU films. But getting back to this episode in particular, Bennet does some of her strongest dramatic work yet. Bennet's growth as an actor has paralleled the growth of her character, both of which have been a joy to watch. First, we have to commend this comedy for bringing back Damon Wayans Jr. following the cancellation of "Happy Endings" (Wayans appeared in the pilot as Coach but when he opted to appear in "Happy Endings" instead, Lamorne Morris was brought on board as Winston instead). Having two black characters that are entirely different in their personalities and many of their interests, as well as just being all-around funny and quirky, is doubly beneficial to the often reductive portrayals of black men in media. However, we're not all that fond with the handling of the character of Cece. Being that she isn't one of the main roommates, we can understand that she may end up with just a bit less screen time than the other characters. However, the "New Girl" writers have really dropped the ball with Cece. There is all but no new information on Cece and her life. What is she up to when she's not being the most level-headed, cool, and badass character of the group? Hannah Simone is fantastic in her smooth delivery, if only we could just get more material for her. The arc in which Cece decides to embark on taking a slightly more traditional cultural route of pursuing an arranged marriage allowed for us to see Cece navigating multiculturalism in a manner rarely depicted in Western media. "Fresh Off The Boat" is an upcoming sitcom based on the life and memoir of chef and food personality Eddie Huang. This will be the first Asian-American television situation comedy since Margaret Cho's "All-American Girl" aired for one season in 1994. The series takes place in the mid-late 1990's when Eddie's family moves from Washington D.C. to Orlando, Florida, to open up a steak restaurant. Eddie's father is aiming to fulfil the "American Dream" ideal, Eddie's mother struggles with culture clash, and Eddie and his brothers struggle with multiculturalism/assimilation. 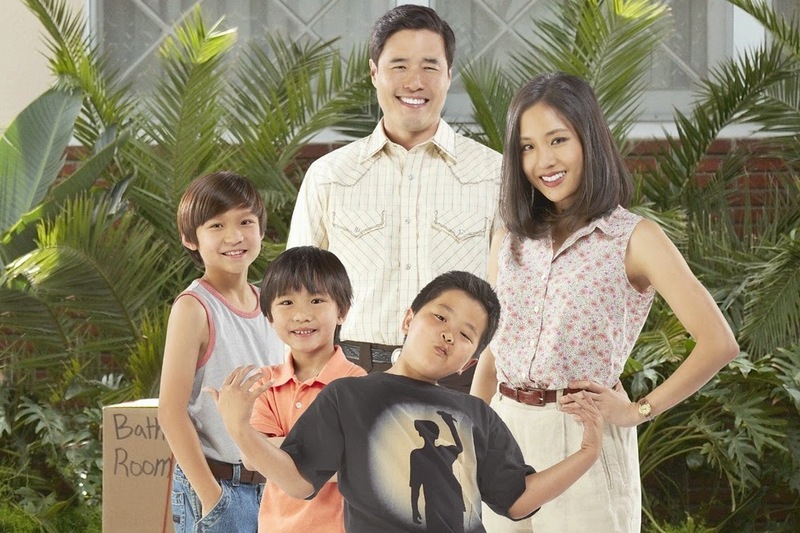 Fresh Off The Boat will premiere on Tuesday, February 4, at 8PM on ABC.